In today's article we're going to talk about an efficient heating system, the radiant floor; Maximum comfort, maximum savings. 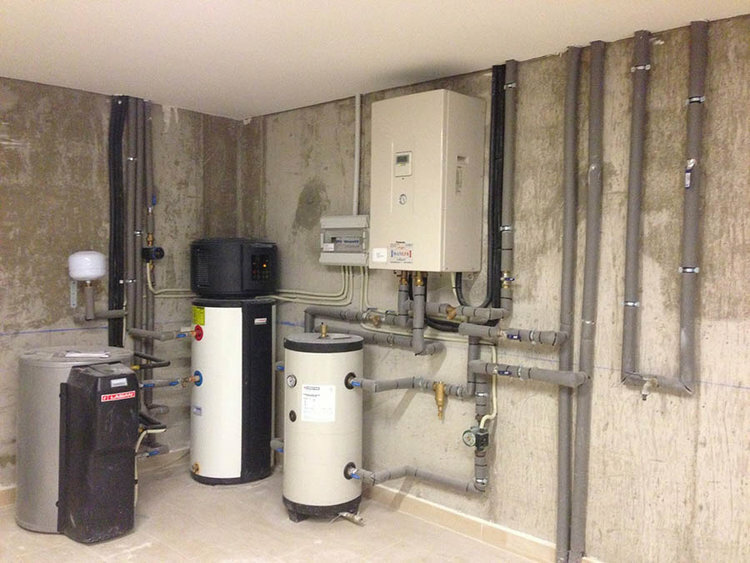 We tell you what this type of heating is, its main advantages and drawbacks. We explain some key concepts regarding its maximum competitors: radiators. 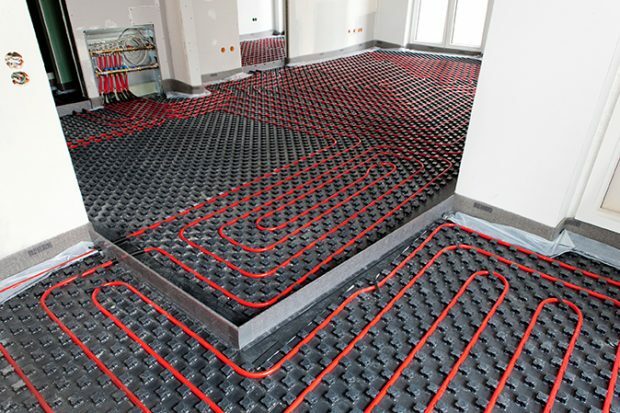 Heating water-Radiant Floor: Possibly the type of floor heating that more people know and we will have seen as a serpentine when placed. The radiant water heating system are literally pipes buried under our feet. 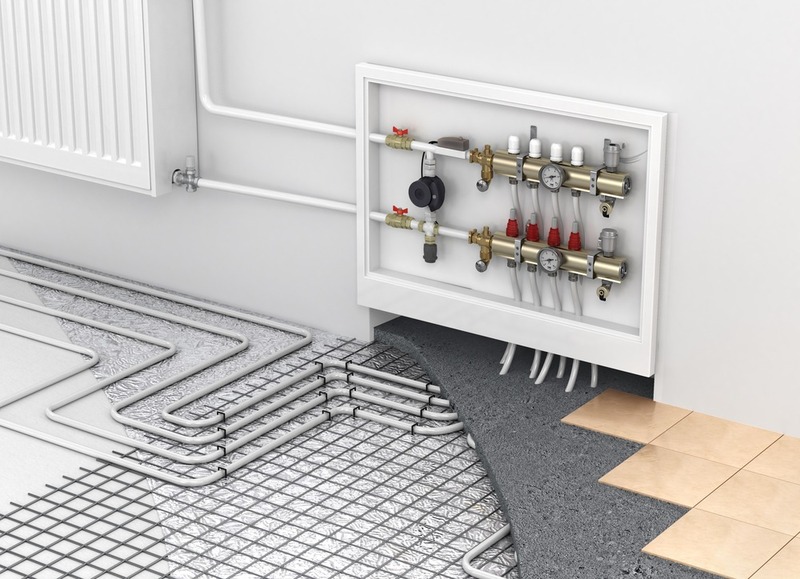 Heating Electric Radiant Floor: Here, it is the electricity that is responsible for heating the system that is under the pavement, which transmits and produces heat in the room. Radiant Floor Heating Carbon fiber: we can say that this system is the most modern, where the heat is transmitted by carbon fiber filaments installed under the floor. The main will be energy saving. 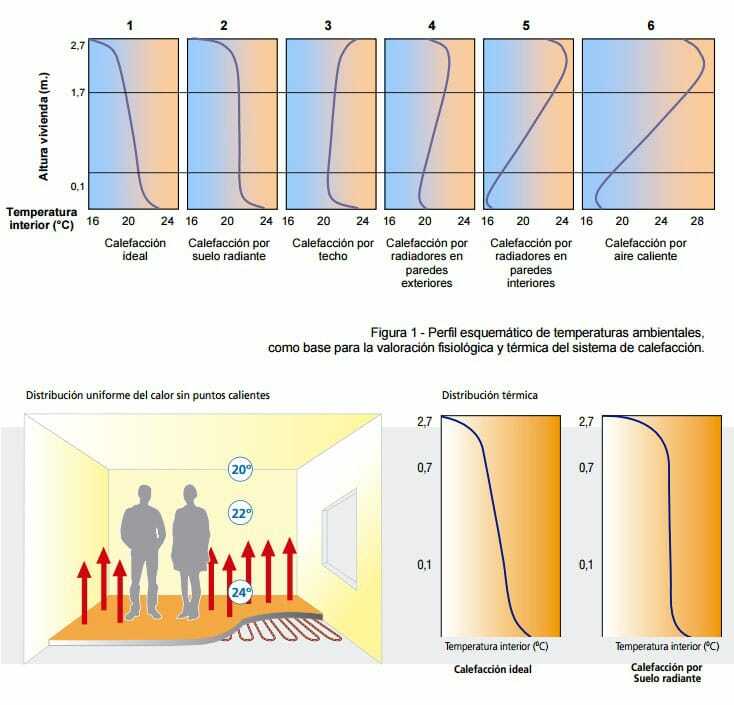 The radiant floor reduces or eliminates the excessive temperatures of walls and ceilings, achieving a saving of energy in the house. With this we get a better uniform distribution of heat, eliminating the areas that are trusting or excessively hot and generating a very uniform heat emission throughout the house. The radiant floor acts as a heat accumulator, which allows us to consume energy in hours of low cost, (night rate), while we can ensure that having the generator running for 6-8 hours, heating is available 24 hours a day. Comfort. Heat irradiation allows for uniform temperature distribution in the environment. Additional insulation. Its installation provides additional insulation, improving the thermal and acoustic insulation of the house. The same installation can be used to refrigerate in summer as if it were air conditioning; For this it is necessary that the heating unit is a heat pump, since these can generate heat in winter and cold in summer. Cleanliness is another factor to consider. Traditional radiators generate convection air currents that end up darkening the walls at the top of the radiators. It is also a silent installation because it lacks mechanical devices inside the house. The great thermal inertia allows us to maintain the hot or cold habitable zone for a prolonged period of time in case of a failure in the system, either a breakdown or a power outage. The use of natural materials enhances the modern concept of sustainability or low environmental impact. The absence of convection currents in the environment avoids the lifting of dust in the air, avoiding allergic phenomena. The water supply at low temperature (35-40 º C) through the piping circuits located under the corresponding pavement and under the mortar layer, the thickness of which must be between 3 and 5 cm. The heat emitted by the water provides the necessary heat to be heated the house. When the heat is distributed from the ground, an ideal temperature gradient is achieved for the human comfort, keeping the feet warm and the head fresh. What pavement is best for a house with a radiant floor? The Strictly ceramic soils always have better performance compared to the typical wooden pallet because they have a better conductivity coefficient. It is not recommended to install certain pavements such as thick woods, PVC or any insulating pavement. In the case of using pavements and wooden floors they will have to have special characteristics. What disadvantages can we find? 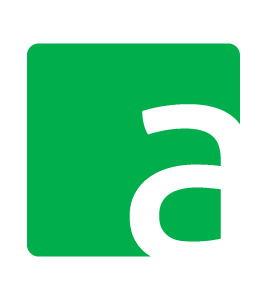 It implies a high initial investment, since the price of the radiant floor is more expensive than that of the rest of systems. Although investment is profitable in the short term. The thermal inertia that it generates can discourage the use of this type of heating in second residences, where a punctual use of the installation (weekends) occurs. In houses of very small dimensions, the use of this type of systems implies a higher amortization time, desaconsejándola in some cases. 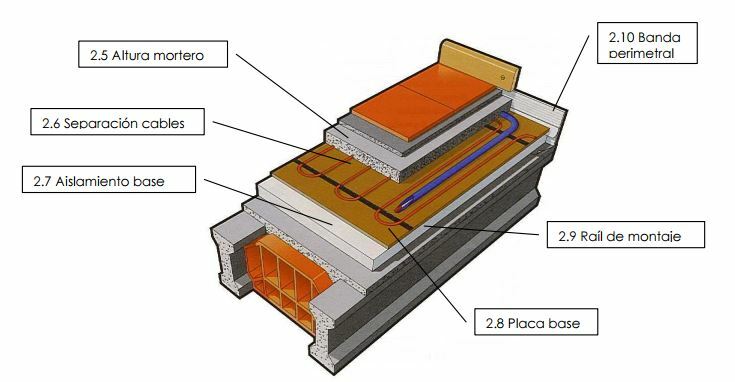 There is a false belief that the radiant soil produces varicose veins; If we consider this type of installation to work with low temperature water, (the water circulates in the tubes between 35 and 45 º C, the soil is maintained between 20 and 28 º C and the environment between 18 and 22 º C) We can say that the soil temperature does not cause any prejudice to Nu Estrus organism. The radiant floor is a very efficient system but not to install it means that our house is going to be more efficient. This type of installations must be complemented with a suitable thermal insulation of the house and a correct installation of the enclosures and windows. If we are customary to leave the windows open, the system will work, and may even warm or cool the house, but of course it won't be efficient. Do not hesitate to contact us if you want to know more information about this type of heating, a clean and healthy system, to make your house more sustainable. And also do not forget to share the information of this post with your family and friends, sure will be very useful, especially for the most frioleros at this time of year.